How to Get Help for an Alcoholic. Educate First: What Is Alcoholism? Having a loved one who is struggling with alcoholism is not an easy thing. Dealing with an alcoholic in your life can be hard. It can be especially trying when the alcoholic is someone you care about deeply. If this person is someone you want to see live happily, you probably question how you can find help for an alcoholic. Understandably, living with an alcoholic can be painful when he or she seems to be controlled by alcohol. Although you may feel helpless in finding help for an alcoholic in your life, there are many ways you can find strength and support. Getting help for an alcoholic is possible. A person who has alcoholism shows behaviors that can be alarming. Actions like this include constant cravings for alcohol, aggression or irritability, financial instability, neglect of personal hygiene, and putting off household responsibilities. The person will also likely deny their problems when confronted with the facts. Additionally, they may make excuses to make their drinking seem acceptable. Knowing the signs of alcoholism is the first part of seeking to get help for an alcoholic. Being aware of the common excuses alcoholics make can help you identify any suspicious behaviors mentioned above. There are different levels of alcohol abuse depending on how functional the alcoholic is as well as other changing circumstances. Although there are some stereotypes that can come to mind when thinking about alcohol abuse, the fact is, alcoholism has no face. Anyone can be an alcoholic. Anyone can be in need of help for an alcoholic. In fact, many alcoholics are not crazy sociopaths like we see in movies, nor are they homeless people we see on the streets from a distance. Plenty of people who need help in getting sober from alcohol are seemingly ordinary people with happy lives. They can even present themselves every day as successful CEOs, loving parents, intelligent university students, and all kinds of other appearances. Plenty of alcoholics mask their disease while still going about their day-to-day lives. These types of alcoholics are called “high-functioning” alcoholics. Drinking is a priority or “reward”: After a stressful day, the first thing a high-functioning alcoholic does is indulge in a drink. Or three. Or more. Not being able to drink makes them uneasy: If they don’t have access to alcohol when they want it, they become uncomfortable or nervous. 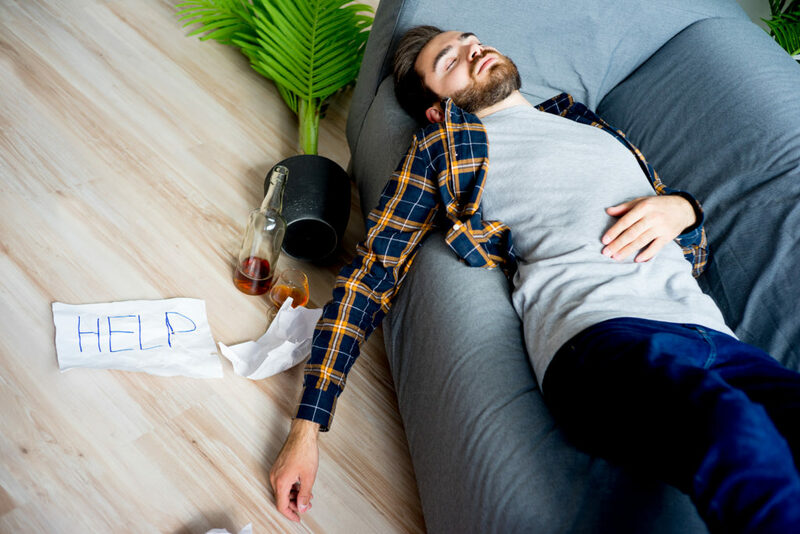 Lack of hangovers: Since their body is so used to drinking regularly, they can wake up the next day with no apparent hangover symptoms. Easily handles their liquor: Compared to non-alcoholics, high-functioning alcoholics can easily handle their alcohol. They might not appear to be drunk after drinking in excess. Their body is used to the effects of alcohol. Is it possible to get help for an alcoholic who is high-functioning? Yes. Just as with any alcoholic, there are options to get alcohol abusers the help they need. There is a big difference between supporting an alcoholic in your life and enabling them. Support is proactive help for someone who needs help. Help comes in the form of doing something for someone they cannot do themselves. Examples of this are driving an alcoholic to a therapist or helping them find a detox/treatment center. On the other hand, enabling is allowing the alcoholic to continue their addictive behavior without consequence. Enabling damaging behavior only continues or eventually worsens it. Examples of enabling are lending the alcoholic money for alcohol or continuously cleaning up after a drunk loved one. It is important to note that enabling is not getting the right help for an alcoholic. In the long run, this can make things worse. Even though there may be a family connection, you are not obligated to enable an alcoholic in your life. The best way to try to help an alcoholic is first to know a plan. The truth is, you are not in control of the alcoholic or any loved ones’ behavior. No matter how badly you want your loved one to recover from alcoholism, it’s their choice. There are tools, however, to offer the alcoholic in your life. Also, there are ways to communicate your concerns lovingly. Hopefully, these steps taken with good intention will help the alcoholic realize their need for help. The first step to try to help an alcoholic is to talk to them about it. Be prepared for adverse reactions, as most alcoholics do not want to face the reality of their drinking. Denial is a typical reaction. In some cases, pointing blame at others is a reaction. In other instances, gaslighting or attempts at manipulation may be their way of defense. It is crucial to know the possible outcomes so you can be better prepared to have an honest conversation. When confronting someone about getting help for an alcoholic, it needs to come from a place of care. Avoid blaming, harsh criticism, or resentful attitudes. Put yourself in their shoes. Talk about feelings as if the person was a hurting child. Usually, alcohol abuse stems from more profound pain which the person doesn’t want to deal with. So there’s a possibility that opening up the discussion with questions will inspire them to communicate their side of things. Listen to their side of the story, as well. You don’t want to come off as a control freak. There is nothing worse to tell an alcoholic than “how to live” or what he or she “should” be doing. Try explaining to them the signs of alcoholism you’ve noticed, why you feel hurt by their drinking, or why you think it would benefit them to stop drinking. The best way to offer help for an alcoholic is to let them know you are there for them. Talking with an alcoholic is an excellent start in the hope that they will seek help. Next, it’s wise to have further support arranged. Other forms of assistance can include extended family, friends, caring relatives, therapists, or an interventionist. The more people the alcoholic can see are concerned about them, the more likely they will be open to receiving the message. As it is vital for you to make known your support towards the alcoholic, it’s equally as important to have your own support system. If you have family or friends who understand your struggle, reach out to them. Surround yourself with people who can be there for you. With all the ups and downs that come with trying to get help for an alcoholic, you don’t want to be left feeling alone. The more support you have, the stronger you will be. To remain emotionally at ease, consider joining a support group for yourself. There are many groups for loved ones of alcoholics. CoDA (Co-Dependents Anonymous) and Al-Anon (Help for Families and Friends of Alcoholics) are great places to find community and understanding. In addition to having that support system, make sure you take care of yourself. During the time of facing the struggles that come with offering help for an alcoholic, you don’t want to burn out. Confronting a loved one about their destructive drinking and how it harms the family can be exhausting. Emotions run high, the body can carry tension, and stress can have a negative impact overall. To avoid adverse reactions to emotions and stress, make sure you offer yourself the care you need. It’s easy to place all the focus on what the alcoholic needs, or how they are hurting others. Try not to overthink everything or control every situation. Make sure to get enough sleep, eat healthy meals, and stay active. Stay connected with caring friends and regularly enjoy your favorite hobbies. If you aren’t taking care of yourself, there’s no way you can effectively offer help to someone else. Before talking with your loved one/alcoholic, know the options for detox centers and treatment. Preferably, know which detox centers the alcoholic’s insurance covers. Detox is important as it can be dangerous and potentially life-threatening. Find a few addiction recoveries and alcohol treatment centers nearby. Do your research. Remember, have a plan. Having a plan makes it easier on everyone, if and when the alcoholic is ready to get the help they need. There are many websites and resources for finding treatment centers. You can search for ones that are right for your situation. Whether inpatient, outpatient, local, remote, or more resort-like, there are treatment centers for everyone and their needs. If and when it is appropriate to hold a full intervention with a professional, the support mentioned above especially comes into play. Set up a safe, supportive gathering of loved ones, friends, and a well-experienced interventionist. Ideally, all participants of the intervention schedule a meeting time and place. This doesn’t have to be at home or at a treatment center, as that could make the alcoholic feel alienated. The intervention should be planned out ahead of time. 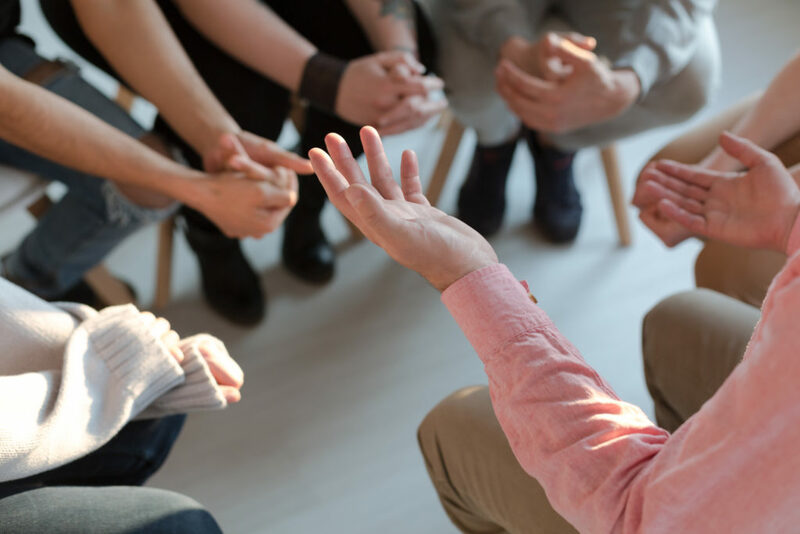 Where to have the intervention, how to tell the alcoholic about the meeting, and when the intervention starts or ends are all matters to take into consideration. 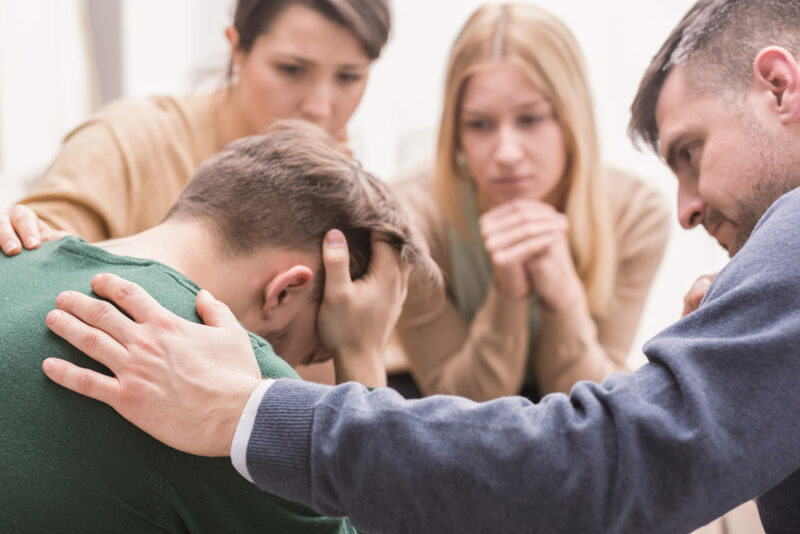 Sometimes the interventionist will meet with someone in the family prior to the actual date in order to understand the unique circumstances of the alcoholic and his or her loved ones. This will better prepare the interventionist on what to say and how to guide the meeting effectively. Friends and family often arrive first at the intervention, speak with the interventionist, and then the addict shows up later for the actual intervention. It’s important to note that every person who is part of the intervention must remain caring, and focus on the well-being of the alcoholic. Nobody in the intervention process should become hostile, angry, or overly reacting in the group. Such negative behavior will distract from the goal of the intervention, which is to share how much the loved ones care about their family member suffering from alcoholism. The point of intervention is to “wake up” the alcoholic to their hurtful behavior. The goal is to discuss all the ways to get help for an alcoholic. The motivation is to offer practical help in order for them to be able to break the cycle of their addiction in order to live a better life. When offering help for an alcoholic, it’s beneficial to keep in contact with them if they do decide to go into treatment. You don’t want to put all the effort into getting them into recovery, only to ignore them once they become willing. They are probably scared, embarrassed, tired, nervous, and facing a lot during this time. This is why maintaining contact is crucial. It will help them feel reassured they are not alone. Although they are getting great support in treatment, they still want to hear from friends and family. Connecting with the people from their daily lives will keep them feeling like they have support to return to when they go home. Encourage the alcoholic through their treatment. For most, recovery is a lifelong commitment and ever-changing process. Celebrate with them their triumphs and be there for them during moments of failure. Above all, as long as you maintain the support of friends and family, finding help for an alcoholic can definitely be possible. Love the Article on Getting Help for an Alcoholic!